The moment of truth: I needed to become a better copywriter. Well, I had to admit it: I was lazy with that copywriting. It was for me – not for a client – so I had cut some corners. I decided I’d gone stale with this particular program. I needed an infusion of copywriting energy. I needed something bigger than a swipe file and smaller than a whole copywriting course. I needed some new ideas, new techniques, perhaps a new headline and definitely an infusion of personality and style. So I went poking around the Internet, googling on “copywriting.” To my surprise, I found several sites that generously offered what amounts to an advanced degree in copywriting – a way to become a better copywriter – absolutely free. But as I kept absorbing these new lessons, I could feel myself sharpening my copywriting chops. I demanded more of my copy than before. These days I suspect everyone can use some continuing education to become a better copywriter because things change. Your market changes. Copywriting styles change. You change: you’re no longer satisfied with the same old, same old. You’re either growing or dying. And we work alone. Your mentor isn’t sitting next to you when you’re revising your About Page or coming up with a sales letter that’s supposed to fill every space in your next workshop. Want to become a better copywriter? You’re on your own…but you can get lots of free hellp. As with any list, I’ve used some pretty arbitrary rules to put this one together. Feel free to add your own suggestions in the comment section. Before I reveal the top 12 websites to make you become a better copywriter, let me explain the criteria I used to build this list. They must be identified as copywriters – not marketing coaches, strategists or rulers of the world. 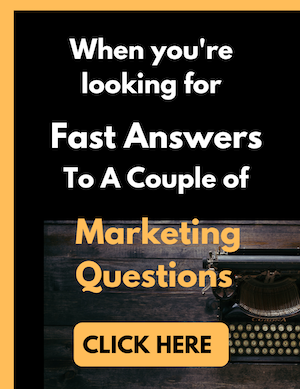 They must have FREE resources on copywriting – not marketing strategy – and show they’re currently adding new material, via a blog, podcast or article series. The free goodies must be in a blog or website, not a Facebook page or email series, and must be accessible even if you don’t sign up for anything. The copy training isn’t the same-old, same-old. I learned something from each website. Once I started choosing the candidates, I realized very few websites meet these criteria. Some offer wise tidbits about broader strategy, not copywriting. Some just cop attitude and hope you’ll think they’re delivering wisdom. And some very savvy, successful copywriters have no blog at all. No free stuff. You have to pay to play. Of course some of these sites have some pretty awesome things to buy (and I did buy some pretty awesome stuff, too). But this list focuses on what’s completely free. Special Note: This isn’t a “read it and forget it” post. These 12 sites give you a free graduate education in copywriting. You can use these sites while you create marketing materials for your business, which probably happens every day. I recommend bookmarking this post so you come back to it for ongoing learning. Apart from getting the free guidance, you’ll be able to evaluate paid offers and come out ahead. Matt Ambrose writes for some pretty heavy-duty clients, such as Siemens and DHL. So he’d be expected to know something about copywriting, right? What’s surprising is how much Matt shares with his blog. focuses on conversions and inbound marketing – getting people to come to you – with advice for both pro and DIY copywriters. When I was futzing around with my sales letter, I found that Matt’s article “9 Reasons Your B2B Copywriting Isn’t Converting” makes a handy dandy little checklist. to get started. And Matt reminds us of something we all sort of know: B2B copy isn’t what it used to be. No more dry-as-dust formal biz-speak. No more tired corporate jargon. If there were a Mount Olympus of blogs, Copyblogger would be at the very top, high in the clouds. It’s one of the oldest, highest quality blogs out there. At one time ordinary mortals could submit guest posts but now Copyblogger has become the domain of the gods and goddesses. The main website of Copywriter Collective focuses on matching freelance copywriters with jobs. The blog is a goldmine of writing tips, each written by a copywriter from the Collective. Because the website offers a compendium of tips, not a single voice, you’ll probably find yourself responding differently to the various posts. Some of the posts offer contrarian opinions. You probably won’t agree with all of them but they’ll stimulate your thinking. Quote: “Customers, buyers, and other interested parties nowadays may feel insulted if you use active voice to try to spur them on to do whatever it is you want them to do.” From this recent post. Henneke (who signs her posts with her first name) is another copywriter who provides thought-provoking blog posts on topics that aren’t normally covered in the basic copywriting courses. She’s got one of the best discussions of metaphors I’ve seen anywhere: choose apt metaphors and use sparingly. And I’m impressed with the way Henneke nails the essence of copywriting with her post, The Secret Blogging Ingredient. Every copywriter on this list possesses this ingredient, which is hard to explain and even harder to capture. UK-based copywriter Amy Harrison delivers copywriting lessons with style and humor. Her videos are a hoot. Check out Using Seductive Symptoms to Write Better Copy. Amy’s got tons of energy and she derives her copywriting inspiration from everything in her life. Since I refuse to own a TV (and wouldn’t have time to watch if I did), I loved the way she gets copywriting tips from Trash TV. It’s a vivid, memorable way to emphasize the qualities you need in today’s copy: get to the point, tell stories, and keep ’em in suspense. Jen doesn’t write many posts, but each one reinforces her theme: “Ready to ditch the cookie cutter.” And each one is a gem. I was so happy to see her speak out against those infernal sliders we see on so many websites. My clients often think they’re a symbol of good design, but in fact (as Jen says) it’s like putting a velvet painting of Elvis on top of your website (unless, as she points out, you’re selling velvet Elvis paintings). I found Adrianne through her guest post on Danny Iny’s blog, where she offered some tips for low-key people who feel uneasy with the um…strong language many copywriters are using these days. Adrianne’s point was that’s fine for people who truly live out loud … but you don’t have to. You can become a better copywriter on your own terms. Her POV is consistent with her tagline – use your genuine voice in an online noisy world. So many of her posts deal with letting your true self show through in your copywriting. I like to read Stella’s blog posts when I need to shake up my thinking. Just reviewing her posts will make you become a better copywriter, by sheer osmosis. For instance, she questions whether “woo” can cohabit with “grounded reality.” She attacks the overused word “authentic,” especially when self-applied. She’s so quotable – almost every post has a gem – that I had trouble choosing just one. Michele’s website doesn’t pull punches and she’s got a lot to help you become a better copywriter, including free writing worksheets. Michele covers a variety of topics in her blog. When you search for copywriting posts, you’ll find some advice that I wish would get around more, such as how to handle your own bad news when you’re writing copy. She’s got a way of writing about the basics in an upbeat, refreshing style. For instance, in writing about getting your message out in the world, she talks about being clear on the message and the recipients, but also the need to repeat it consistently: “Resist the urge to “tweak” your message as you get bored with it.” Been there. Done that. Nice reminder. A new copywriter who’s making an impact via highly-charged writing and an awesome list of guest posts. The guest posts are an especially good source of unconventional ideas. Despite the site’s in-your-face name, Hassan’s a solid copywriter with well-written content, delivered calmly and professionally. Gem: In the new world of digital marketing, authenticity sells. You know you’re dealing with a very special copywriter when you see a lead magnet titled, “What If Your Copy Didn’t Bore the Crap Outta Prospects?” Ten words where most of us would need ten paragraphs, and the humor comes free. Joanna walks her talk. She writes every sentence in every blog post in original, refreshing style that’s worth studying. Every post, including guest posts, contains a copywriting lesson. One of my favorite parts of Joanna’s blog is the way she finds copywriting strategies in places nobody else even notices, from sign-up buttons to kickstarter pitches. No cookie cutter, no same-old, same old. If you want to become a better copywriter, you can’t skip this site. Caution: Before buying their 4-figure higher-end courses, read the fine print carefully. So what can we learn from all 12 copywriters? First, they don’t all agree! Some go out of their way to promise authentic copy; at least one detests the word “authentic.” Some recommend fast writing, while others encourage your copy to simmer slowly, like a good stew. You have to be true to who you are (which is not the same as saying “the copy sounds like me”). You write to a person. Each reader should feel you are speaking to her and to her alone. Storytelling has become the most important tool in your copywriting kit. So now you’ve got it … access to some of the best copywriting training in the world, completely free! It’s like getting a graduate degree in copywriting without leaving home. 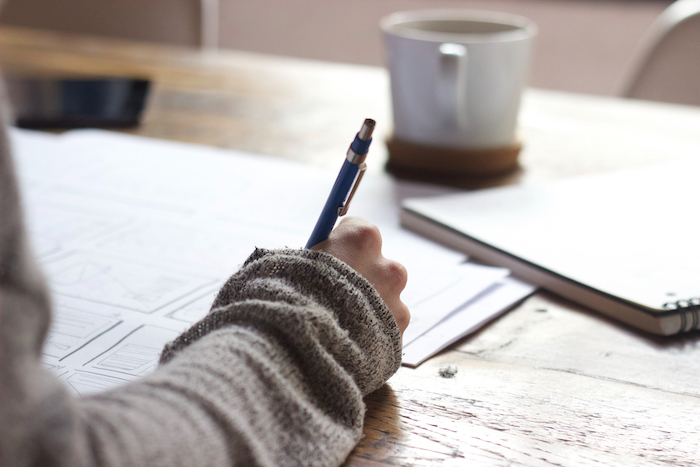 And if you’re considering the possibility of becoming a copywriter …check out this affordable course, Become A Copywriter. It’s the only course that shows you how to improve your skills (or start from scratch) an how to market yourself as a copywriter, whether you go free lance or choose another business model. If you’d like to become a copywriter (or just write better copy), there’s no substitute for one-on-one consulting. There’s no reason to spend days or hours working on your copy when a 90-minute session would give you copy you could use immediately. How much are you paying yourself? How much are you losing when you delay getting your copy out there? When you look over my shoulder as I work on your copy, you won’t just get better copy for ONE project. You’ll learn how to take charge of the copywriting process for *all* your future projects. Most professionals have had at least a few sessions with other copywriters, even when they’re established. There’s nothing like an extra pair of eyes and a new approach to get your copy written. Check out the Copy Makeover Consultation. Thank you Cathy! What a wonderful list. As Henneke said, I’m discovering a few copywriters I haven’t read before and will be digging in! Thanks, Belinda! Please dig in and feel free to share! These are some of my favorites, also! I have worked with Henneke and with Amy – both are excellent. Thank you, Sue! I agree: it’s been fun to share their awesomeness with my peeps. Thanks for the love, Cathy! And what a great lineup. I’ve been known to stalk most of these sites. Grateful to be in such good company. Thanks, Adrianne! I’ve enjoyed your posts and learned from them. Thanks so much for the list Cathy, already love Amy, Henneke, Copyblogger and you, can’t wait to check out the rest. Thanks, Carol! It’s a gold mine of info when you go through each one. Thank you for including me in this fantastic line-up, Cathy. I notice a couple of copywriters I’m not familiar with yet — gonna check them out! Thanks for commenting – love your blog! Thanks for including me in this list Cathy! You’ve done some cracking research and I can heartily recommend the other sites you mention. They’re top notch! Your site is too! Thanks for stopping by.